retrohackers.com • View topic - Bomb Mania 4 player cartridges available 20 only..
Post subject: Bomb Mania 4 player cartridges available 20 only.. 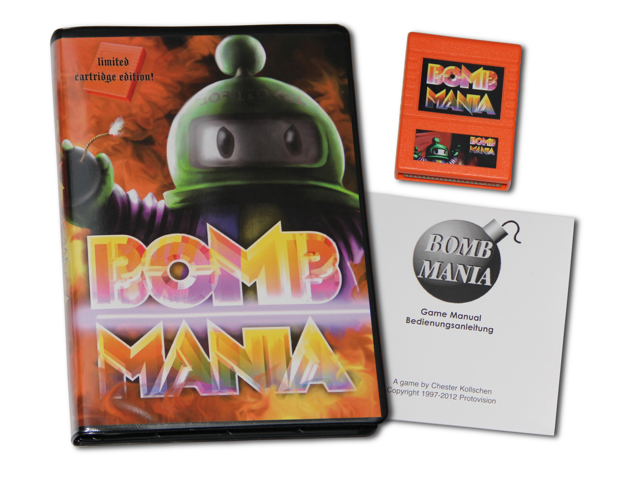 Bomb Mania 4 player version is available in cartridges form. Strictly limited to only 20 cartridges available now at the Protovision Shop. We played the four player version at the last Commodore 64 nigh in Brisbane Australia it's awsome this will make a nice addtion for collectors being strictly limited too 20 only. The 4 player addon is required to play plug four joysticks into your Commodore also available at protovision.